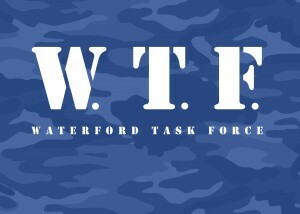 The following petition is a result of a discussion on the Waterford Task Force Group Page on Facebook after the issue was highlighted on local media. Here is the proposed Wild Atlantic Way Driving Route, which excludes almost 100 miles of the atlantic coast, mostly Co. Waterford. After approval from the members of the WTF group we have released the following petition text and are asking for people’s signatures. Thank you for taking the time to visit this link. It was disappointing to find out that the Wild Atlantic Way Driving route has failed to include the Atlantic coastline beyond West Cork. From East Cork to East Waterford there are some fantastic driving routes that take in some stunning views of the Atlantic coast. From Cobh to Youghal there are some excellent things for tourists to enjoy, The Titanic Experience in Cobh, a pitstop in Cork City, a visit to Fota Wildlife park or enjoy the sandy beaches of Youghal. In West Waterford, there’s the Gaeltacht in An Rinn, the beautiful town of Ardmore, with stunning beaches, round tower and rugged coastal walks. There are many beautiful beaches between Ardmore and Dungarvan, which itself has beautiful coastal views on the descent taking you through a magnificently kept town, and there are beaches such as Clonea and Stradbally close by. Then as you take the coastal road to the copper coast, a European Geopark, there are stunning views from Bonmahon all the way to Tramore, including Kilmurrin, Annestown, Boatstrand, Garrarus, Kilfarrassey and many others; the views here along the coast road here would rival anywhere in Europe. This will take you through Fenor, which is a gorgeous little village with a wild bog that is extremely accessible and one of the best playgrounds in the country is available to families passing through. On then to Tramore, which again has amazing views from Newtown head to Brownstown head with a fantastic and safe strand that goes on for miles. Tramore is a bustling town, which is being renewed with infrastructure, roads and is a huge tourist attraction in the region with surf clubs, coffee shops, amusement park and much more. If you continue along the coast there are more beaches too, the wild saleen sand dunes, a nature reserve, which follows along to some smaller coves and on to Dunmore East, another stunning village, with fabulous restaurants. There’s even more as you head along to Woodstown, which is where the Suir leaves the estuary with the Nore and Barrow, and has beautiful light soft sand. These are some of the jewels along this almost 100 mile stretch of the Wild Atlantic coast that will not be highlighted to tourists if this part of the country isn’t highlighted. By branding the entire coastline from Derry to Kinsale as the ‘Wild Atlantic Way’ and excluding East Cork and Waterford, Failte Ireland have made it very difficult for the region to promote it’s Atlantic coastline and put us at a major disadvantage in terms of attracting tourism into the future. With traditional employment in the area under severe pressure, it would be very helpful if a national body such as Failte Ireland allowed us to compete fairly for tourists wishing to experience the atlantic coastline. We the undersigned ask Failte Ireland, Government Officials, Politicians and others to ensure that East Cork and Waterford are included on the final route. By doing so it will significantly add to the tourist offering of the Wild Atlantic Way and Ireland as a whole. This entry was posted in Uncategorized on July 9, 2014 by Cian Foley. Include Waterford County in the Wild Atlantic Way. Hi guys. This is a great idea to get Waterford included. We have a fab county. Could you send to hotels and local businesses to sign and get them to get their staff to do it too. Or send to local tourist office and they might pass it on. We need to fight with everything we have for these oppertunities.